The federal government has pledged to build inland rail and a proposed second, $6 billion airport for Sydney using “good debt”. Prime Minister Malcolm Turnbull said that the “good debt” would be accrued to build an inland rail link between Melbourne and Brisbane. Turnbull said the rail link was a “high priority”. Sources suggest that the government would partner with the private sector for the $10 billion venture, with the government’s use of debt made possible by Treasurer Scott Morrison’s redefined classification of debt in the national budget. Morrison’s move allows the government to borrow heavily for infrastructure by breaking down national debt into two categories: “good” and “bad”. Under the new classification, debt created for health, welfare and other such initiatives is deemed “bad”, while debt created to fund projects and policies that lead to increased productivity and income is “good”. As for the new airport – which, at this early stage, is estimated to cost between $5 and $6 billion – law stipulates that it be built by a company. In light of this, government sources have confirmed they’re likely to establish something similar to the National Broadband Network, to pave the way for a Commonwealth airport built with borrowed money. 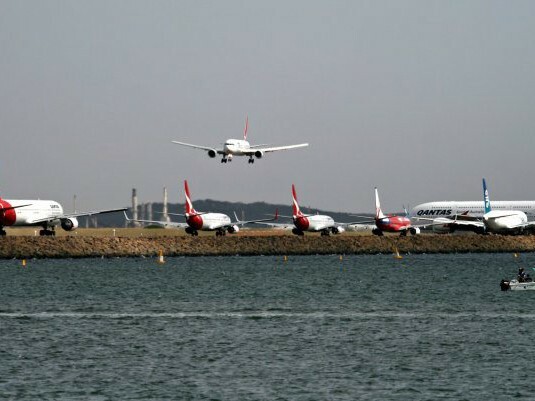 The proposed site for the airport has been announced as Badgerys Creek. The government’s proposed schedule has the commencement of airport construction in 2018, with a proposed completion date in 2026. However, this will ultimately depend on how long it takes to secure a private builder. Other projects suggested to be within the budget include a study into the feasibility of a gas pipeline connecting the North-West Shelf to eastern states, and a $2 million expansion of the Snowy hydro power station.